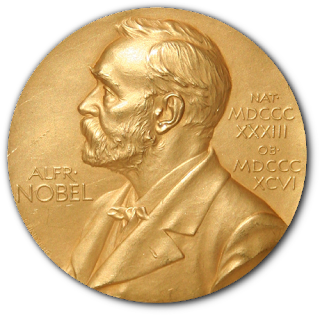 The Nobel Prize in Literature has been awarded 107 times to 111 Nobel Laureates between 1901 and 2015. I have a goal of reading at least one book by every recipient of the Prize. If anyone reading this has a similar goal and would like me to link their progress reports to this post, I am happy to do so. Leave a comment with your link and I will add it. There is a group blog called Read the Nobels where people more actively pursuing this project post reviews and record their progress. Here is the list of Nobel Laureates, starting with the most recent. If I have read any of the author's books, I listed the titles in red after the name; if I have books on my TBR shelf, they are listed in blue. I plan to eventually read something by everyone of these people, even if I have nothing on my TBR shelf right now. Although some may be hard to find as I look at names that ring no bells for me. Updated on January 21, 2018. If you would like to be listed here, please leave a comment with links to your progress reports or reviews and I will add them here. The Nobel list says a lot about the fleeting nature of fame, doesn't it? A Nobel Prize doesn't guarantee you'll still be read 100 years later. I'll follow the project with interest - what is Bjørnstjerne Bjørnson like? I'll let you know -- as soon as I discovery the forgotten talents of José Echegaray y Eizaguirre. No, no, don't read Saramago's Journey to Portugal, you'll get lost in dense tracts about Portuguese history, art and architecture, and you'll hate him and you'll never want to read him again! I'm Portuguese, I know exactly what the man is talking about, I've visited every little village and church he describes, and I can say it's a dull book. Trust me. You have to start with his fiction. Blindness, Seeing, All the Names, The Year of the Death of Ricardo Reis, The Gospel According to Jesus Christ. These are all great novels, you'll love them and you'll want to read more. I have read a lot of Nobel Prize winners and will take this idea to make my list. Right now, I just tag the books I read with "Nobel Prize" but would love to follow your inspiration and put them in a blog. Most of these novels I read have been fantastic.